Water is the first and the basic requirement for life and so is it for colon cleansing. We need to have a lots of water during the day to keep ourselves hydrated and to keep our body organs properly functioning. 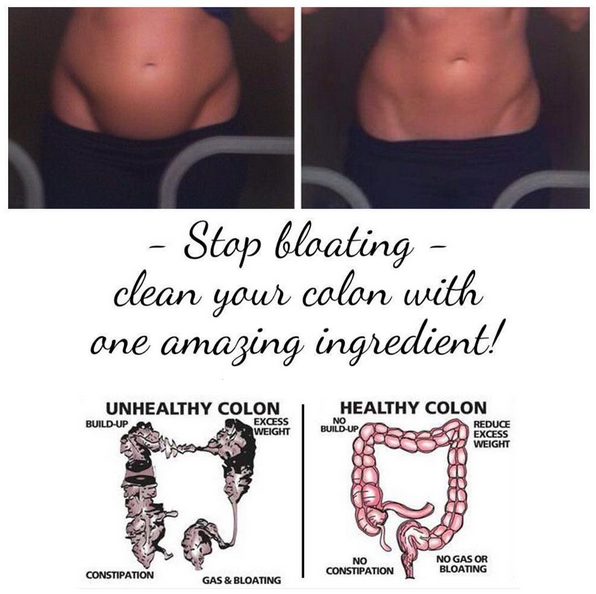 So, do not deprive your colon, or for that matter any organ of your body of water. Have at least 8-10 glasses of water daily. More when you are extra active like if you play or run or work out and the like. Start your day with a glass of water. If possible have warm water mixed with lime juice squeezed out from a lemon and a teaspoon of honey first thing in the morning. This detoxifies the body and boost your metabolism as well as helps in proper bowel movement which is the per-requisite for a healthy colon. Thereafter, have water regularly during the day. Drinking sufficient water also stimulates the natural peristaltic action which makes your colon begin functioning in a normal manner. Along with water,you can also have other natural liquids (not colas and sodas) such as fresh fruit and vegetable juices, lemon juice, coconut water etc. How many times have you heard, “An apple a day, keeps the doctor away!” Well, this is so true, apple does wonders for colon cleansing too! Fresh apples as well as apple juice, all can cleanse your colon to your health’s bliss! Start you day right away with a glass of apple juice, better if made with fresh apples just before you drink it. After this first glass of apple juice, have a full glass of water. Have apple juice at least three to four times a day. When you take this amount of apple juice and at this frequency, it encourages bowel movements and even breaks down toxins. Obviously, you won’t do it everyday but sure do it when you feel low on health and experience all those conditions for which you can’t find any reason! If you get bored with apple juice, have some other juice in between, say prune juice or lemon juice. You can even add two tablespoons of fresh lemon juice to one glass of apple juice to alter its taste. Lemon in apple juice also thins out the mucous in your bowel. What is the best cardio exercise for Weight Loss.